Listen to your favourite songs in music player. It supports MP3, WAV, AAC etc. file types. With long battery talk time, you can talk on the tablet continuously without charging. You can't make calls from this tablet. 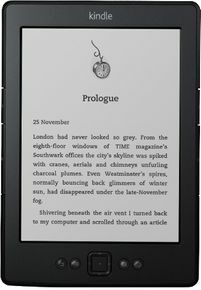 Amazon Kindle Paperwhite (10th gen) Review - Should you buy it?